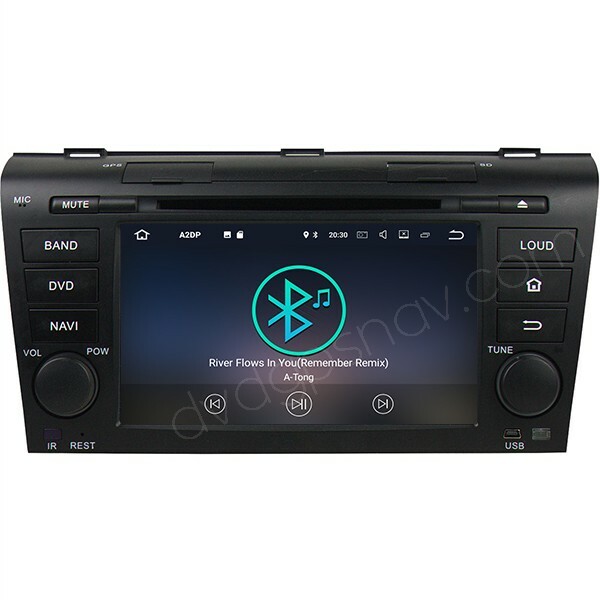 This Android Mazda 3 radio fits Mazda3 2004, 2005, 2006, 2007, 2008, 2009 year model. For 2010+ model Mazda 3, please check this model. Support rear view camera video input, support steering wheel controls, DVD, GPS, Bluetooth, USB, WiFi, Mirror-Link, SD, FM/AM radio. FREE Gifts: 8GB SD card with GPS maps for free, available for nearly all countries. Latest Version: This Mazda 3 radio upgrades with Android 7.1 system now! Besides, Android 8.0 version+8-Cores CPU+4GB RAM optional. This Android Mazda 3 radio fits Mazda3 2004, 2005, 2006, 2007, 2008, 2009 year model, it has been upgraded with latest Android 7.1 operation system now, also the Mazda 3 radio comes with Android 8.0 system optional. The double din Mazda 3 radio GPS comes with Android 7.1 operation system, quad-cores CPU, 1024x600 resolution high definition capacitive screen, touch screen, it can support steering wheel controls through a CAN-BUS decder included, support back up camera video display. The main function includes FM/AM radio, DVD player, GPS navigation, Bluetooth handsfree phone calls, Bluetooth music A2DP, Mirror-Link, USB, WiFi, SD card media play, you can change the wallpaper with your own easily and install Android apps freely. 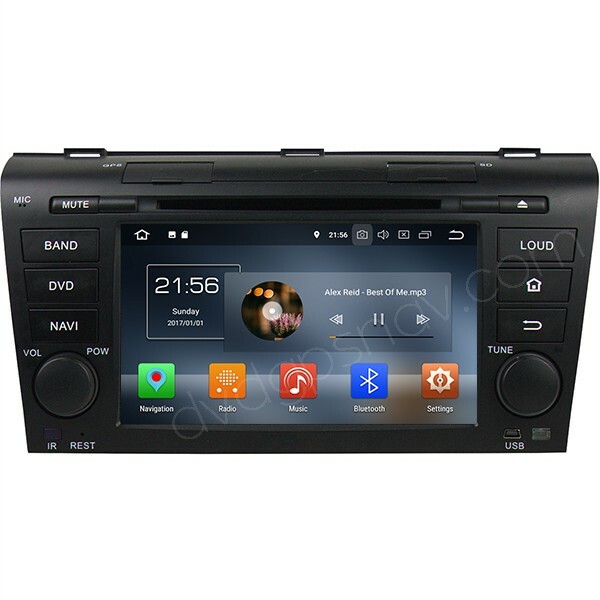 Buy Android Mazda 3 radio GPS DVD now get a 8GB SD card with GPS maps for FREE! Q: Üdvözlöm! 2011-es mazda 3-as készülékkel kompatibilis? Navigáció magyar nyelvü?Térkép Európa? Menü magyar nyelvü? Válaszát előre is köszönöm! A: We can install European maps for you, Sygic or igo maps. Hungarian is available, you can set it in settings, default language is English. In order to make sure if this unit fits your car, please send a dashboard picture from your car for us to check, our email is sales@dvdgpsnav.com. Q: I would like to replace the head unit in my car to a new head unit by keeping all the steering wheel controls, is this android unit compatible with my Mazda 3 2007 year? 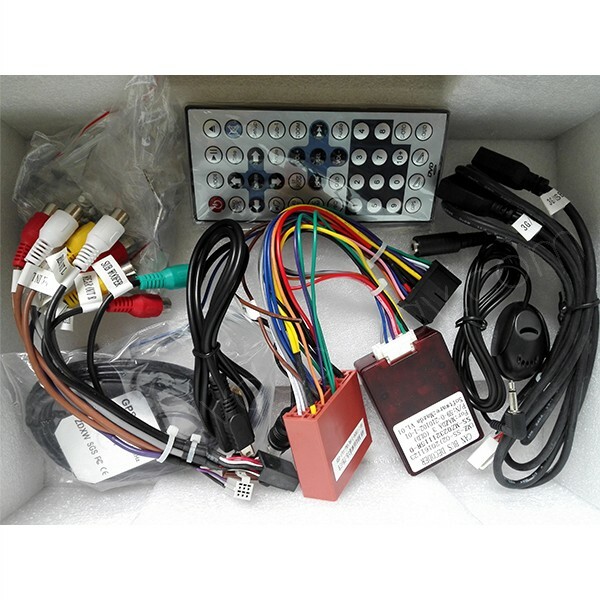 A: Yes, this Android Mazda 3 radio is compatible with your 2007 Mazda 3 and supports steering wheel controls with a CAN-BUS decoder included. Q: Hogyan tudok rendelni innen? A: Hi, if you need you can place an order on our site, we can ship to you.